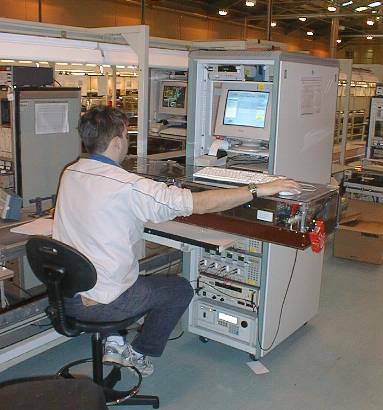 Sanken Power Systems (Abercynon, South Wales) had been using LabVIEW along with data acquisition hardware from National Instruments for several years for the end-of-line testing of their power supplies. Each power supply required a separate LabVIEW program. Discussions between Sanken and a LiveWires LabVIEW expert, however, led to the idea of producing a single flexible modular program capable of meeting all Sanken’s needs for the foreseeable future. We decided to store test conditions, pass/fail criteria and the sequence of test steps in Excel files, one for each model of power supply. Results are similarly stored in Excel. These files have been designed to be easy to configure and read, and are easily expandable as and when new test steps are added in the future. A software “engine”, written in LabVIEW, handles the interactions with Excel and the test sequencing. 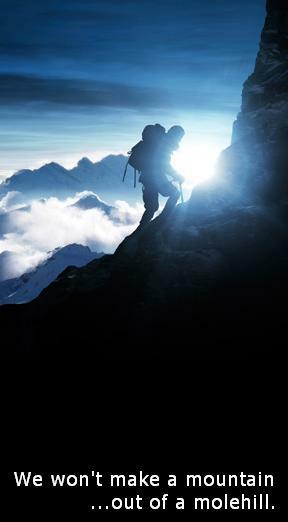 Each test step is a separate routine, dynamically loaded by the main engine. 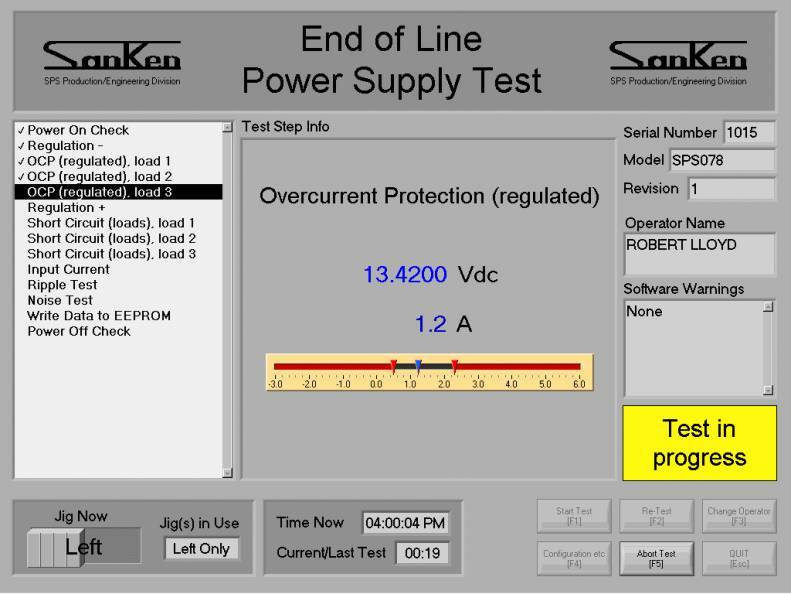 LiveWires has produced over 20 such routines to cover Sanken’s requirements. These routines communicate, using GPIB, with 6 instruments to test different aspects of the power supply’s performance. If a further routine is needed at a later date, it will be fairly simple to produce it by modifying one of the existing 20 routines. The main screen of the end of line test software is shown below. The program steps through the test steps listed on the left. The central section shows information for the current step. Conditions and results in Excel can be accessed via the “Configuration etc” button, at the bottom of the screen (greyed out when a test is in progress). Sanken initially applied the new program to their newest power supply. Since then, the have put it on lines where other power supplies are manufactured, replacing their older, less flexible LabVIEW programs.